For Wake Forest homeowners looking for a reputable tree removal company, look no further than North Raleigh Tree Service! We work with homeowners throughout zip codes 27587 and 27588 and have an excellent reputation for quality, safety and value. As a locally owned and operated company, we take each job seriously and know your yard is an important component of the value of your home. That is why we train our team members in the proper skills of removing and trimming trees and hire professionals with years of experience. We focus on providing our team with the right equipment and always emphasize meeting the customers’ needs. We never cut corners on tree removal projects in Wakes Forest; from start to finish we treat your yard like our own. We don’t leave a mess for you to clean up, either. We are thorough and leave your yard in better shape than when we came. 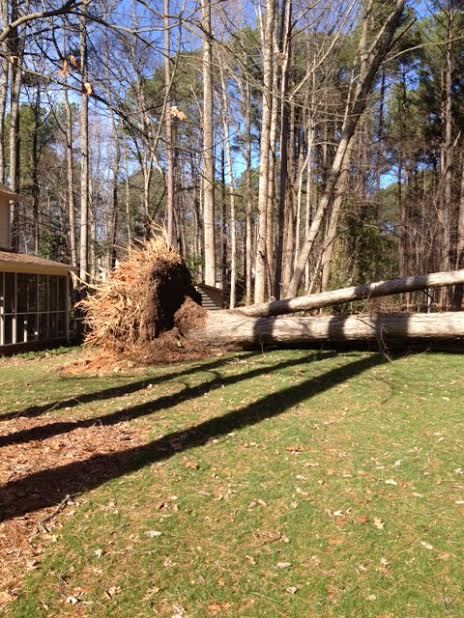 Our tree removal services in Wake Forest cannot be beat! Contact us today for more information or call (919) 808-2467.